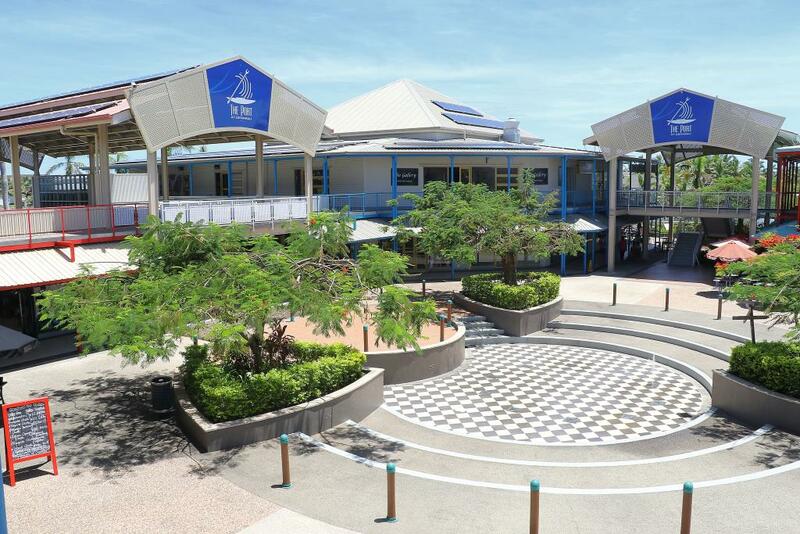 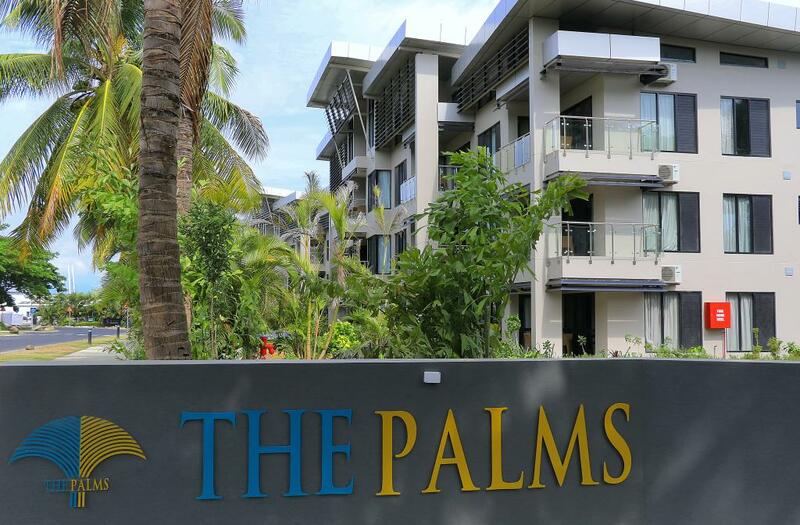 The Palms Denarau Fiji is located in the heart of Port Denarau, gateway to the Fiji Islands, with its many dining and shopping venues and marina. 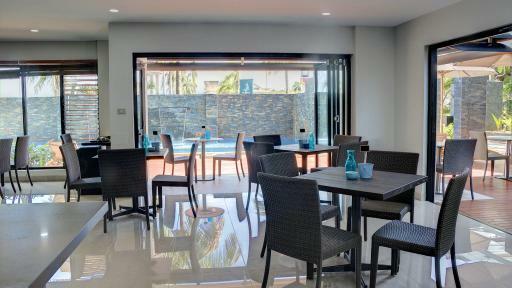 This fantastic Fiji accommodation offers a range of guest rooms and self-contained apartments ideal for those looking for a base from which to explore the beautiful Fiji islands and mainland. 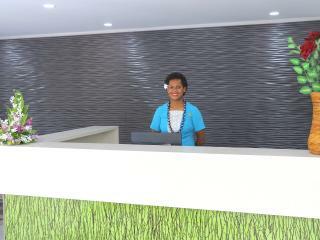 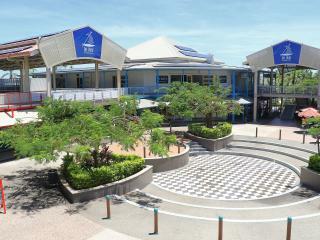 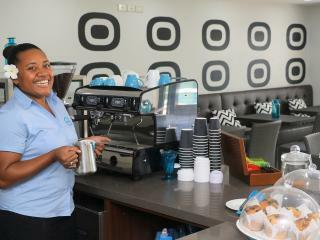 Facilities at The Palms Denarau Fiji include a café, swimming pool, tour desk, parking and complimentary WiFi throughout. 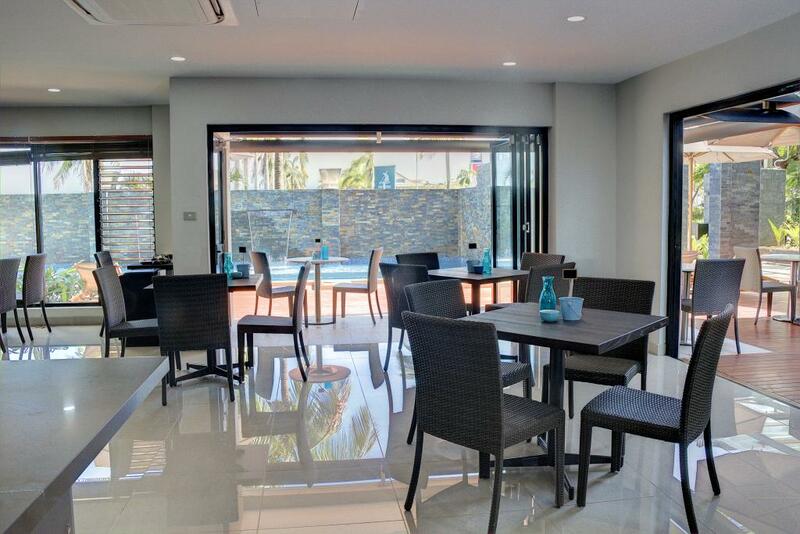 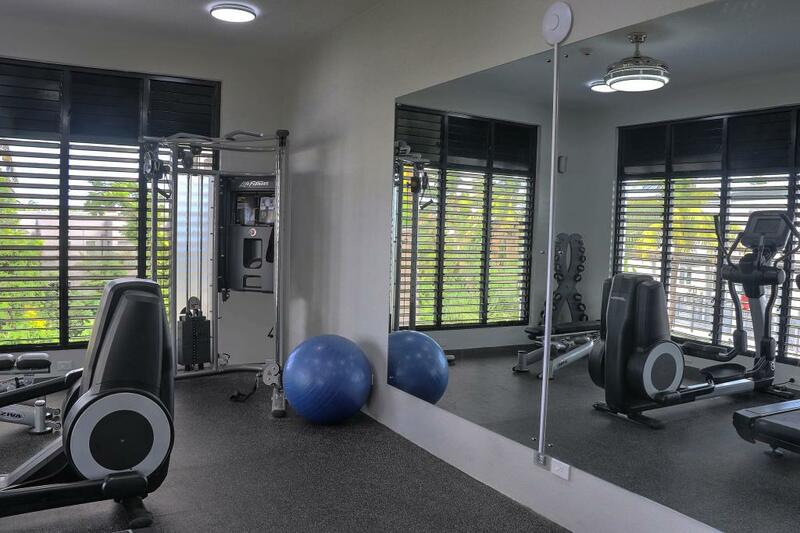 Being just a 20 minute drive from Nadi airport, this Fiji accommodation has a great central location, making it easy to venture out to discover the popular land and water hotspots of Fiji. 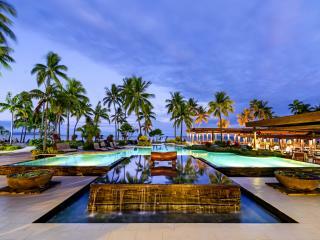 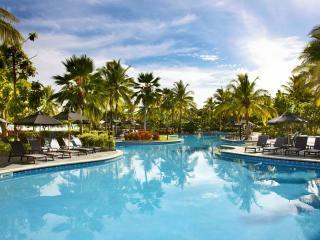 Accommodation at The Palms Denarau Fiji is varied to suit a range of holiday needs. 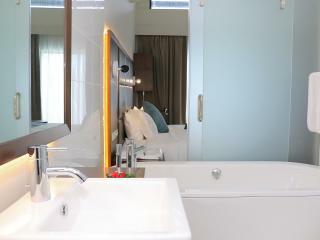 For those looking at shorter stay the Guest Rooms are a great choice, with plenty of space and hotel style amenities. 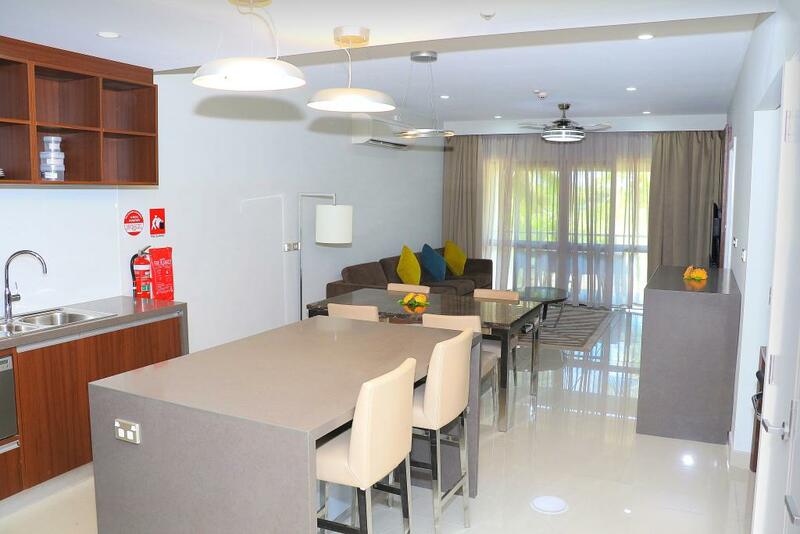 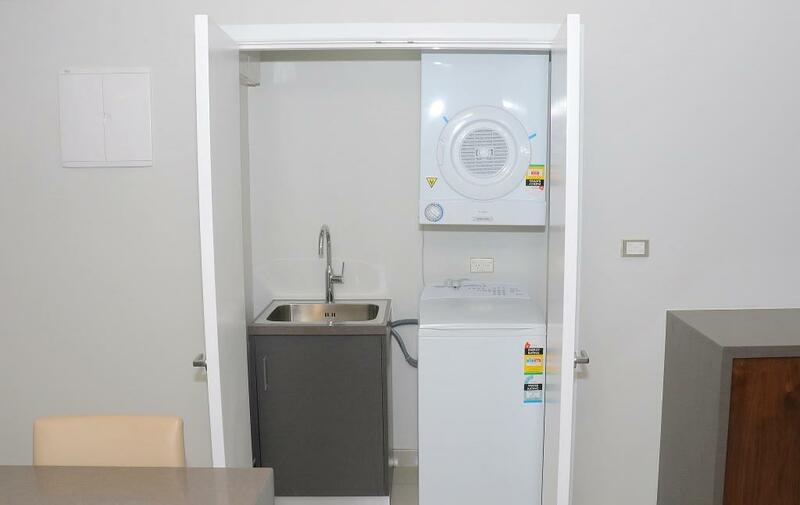 Travellers wanting to stay a little longer will enjoy the self-catering features of the apartments, with full kitchen, laundry and large living areas. 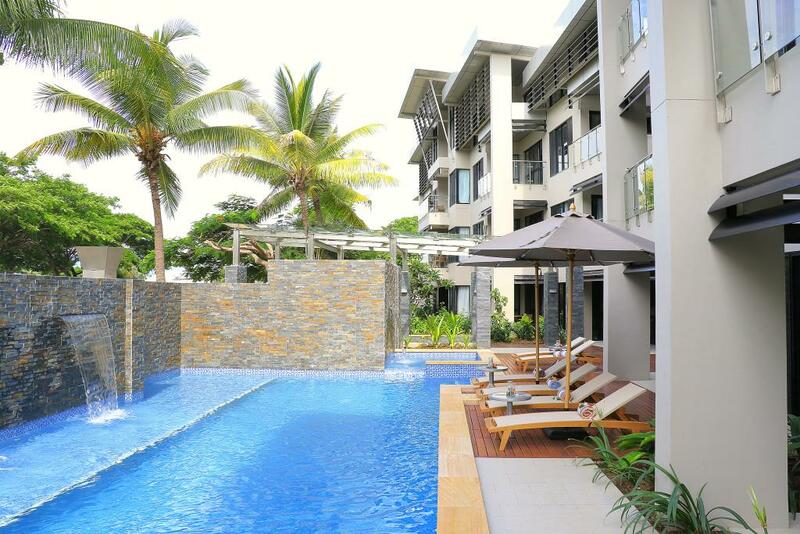 The Palms Denarau Fiji is a simple option for apartment accommodation for your next Fiji holiday with friends or family. 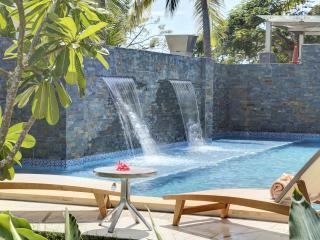 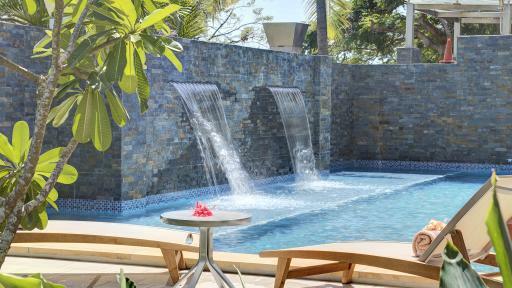 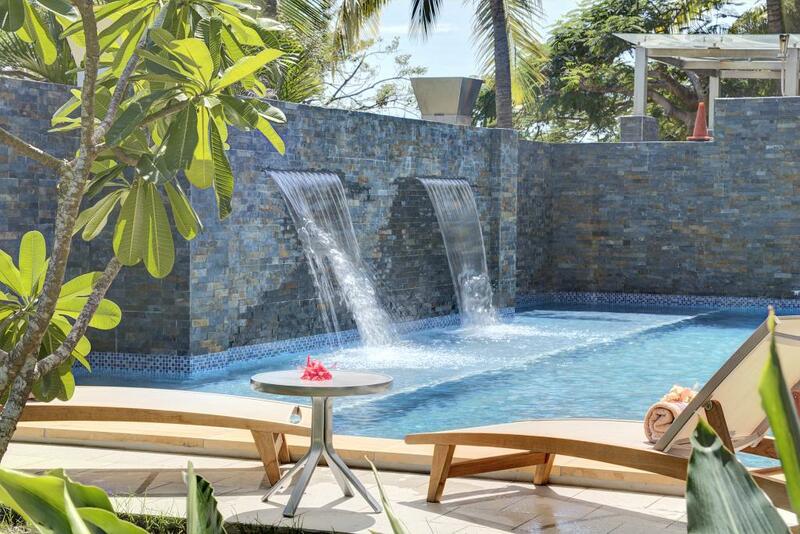 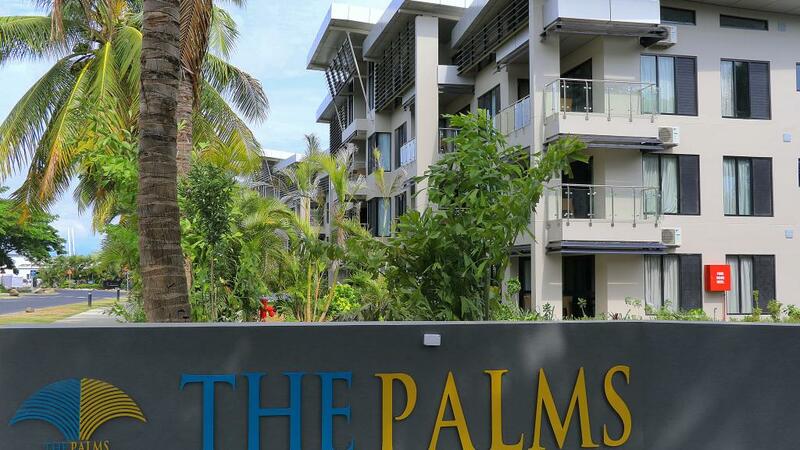 The Palms Denarau Fiji offers 10 Guest Rooms over 3 levels. 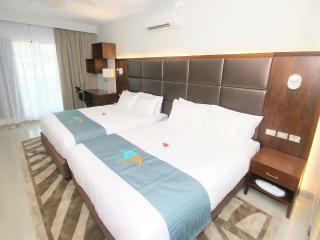 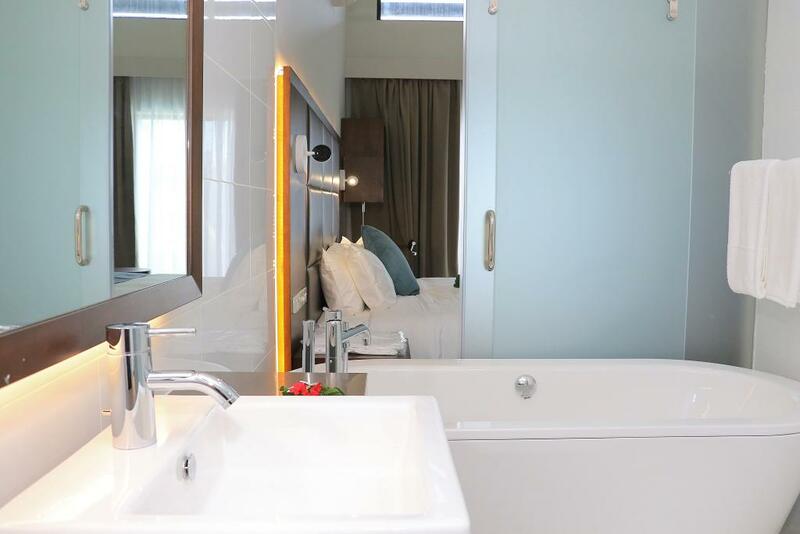 The Guest Rooms can accommodation a family of 2 adults and 2 children and are ideal for short stopovers. 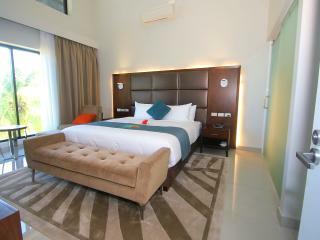 Guest Room: Bedding is 2 Queen Beds. 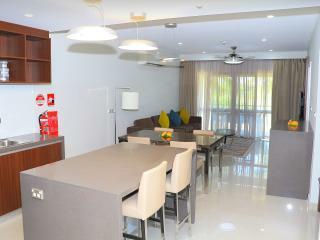 Maximum capacity is 2 Adults + 2 Children. 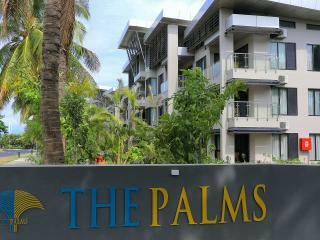 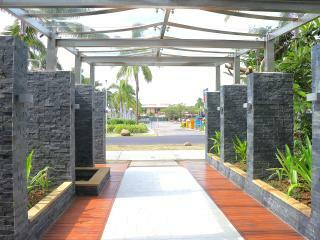 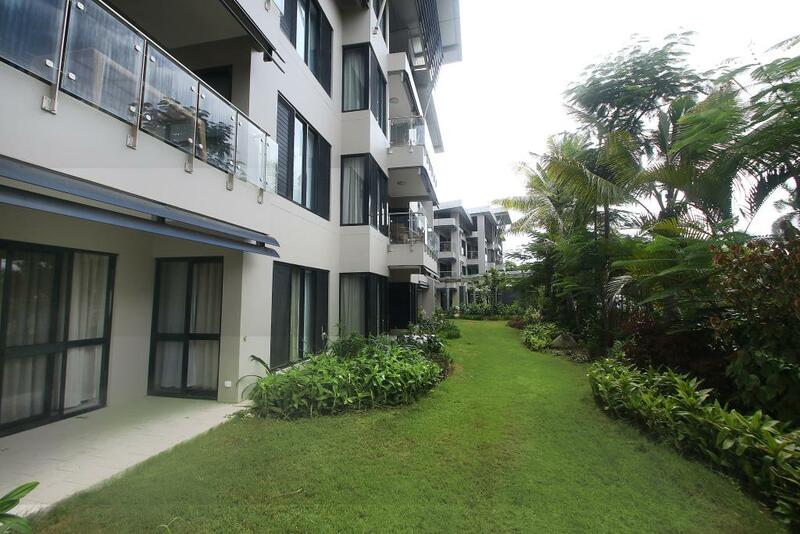 The Palms Denarau Fiji consists of 28 Apartments over 3 levels. 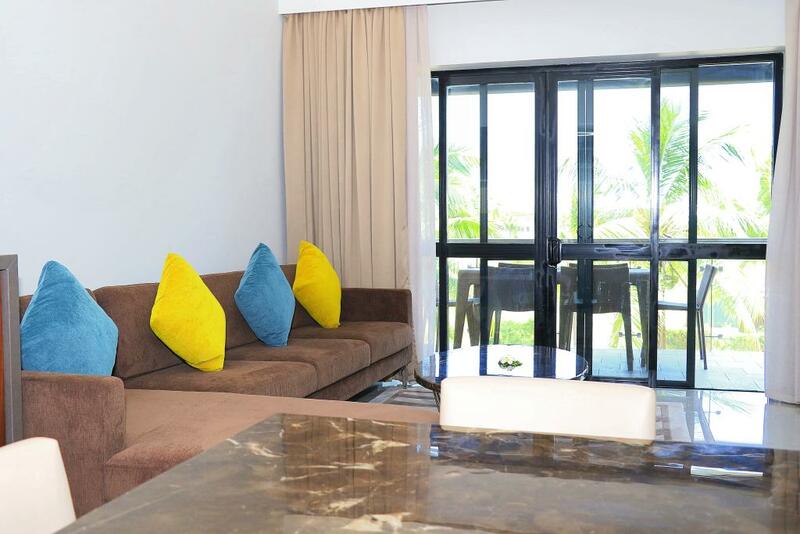 The 1, 2 and 3 Bedroom Apartments are perfect for longer stays, featuring self catering amenities and plenty of space for a comfortable stay. 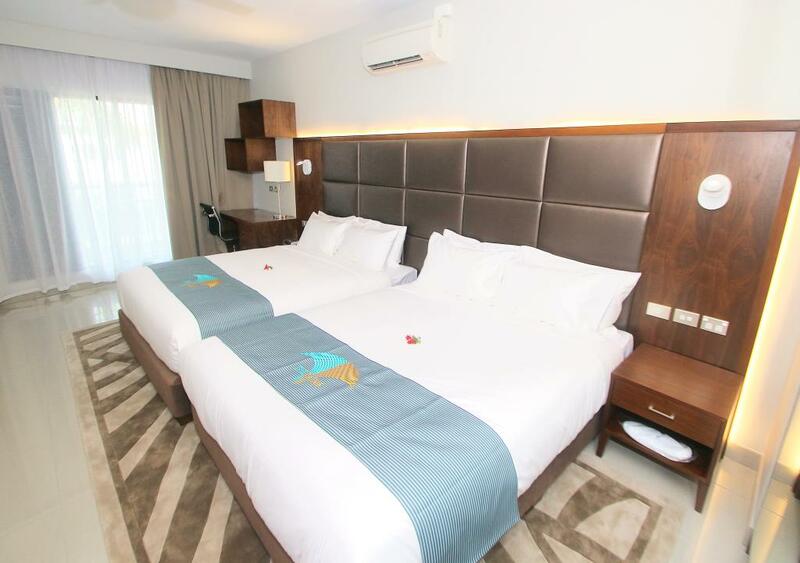 1 Bedroom Apartment: Bedding is 1 King Bed. 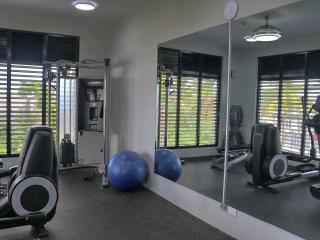 Maximum capacity is 2 Adults & Children. 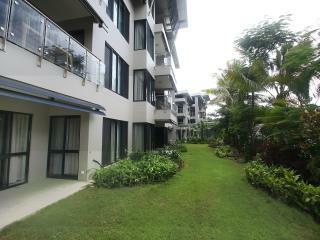 2 Bedroom Apartment: Bedding is 2 King Beds OR 1 King Bed + 2 Single Beds. 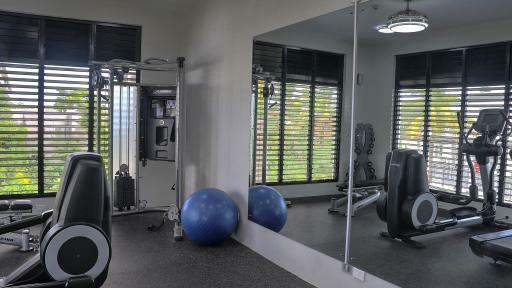 Maximum capacity is 4 Adults & Children. 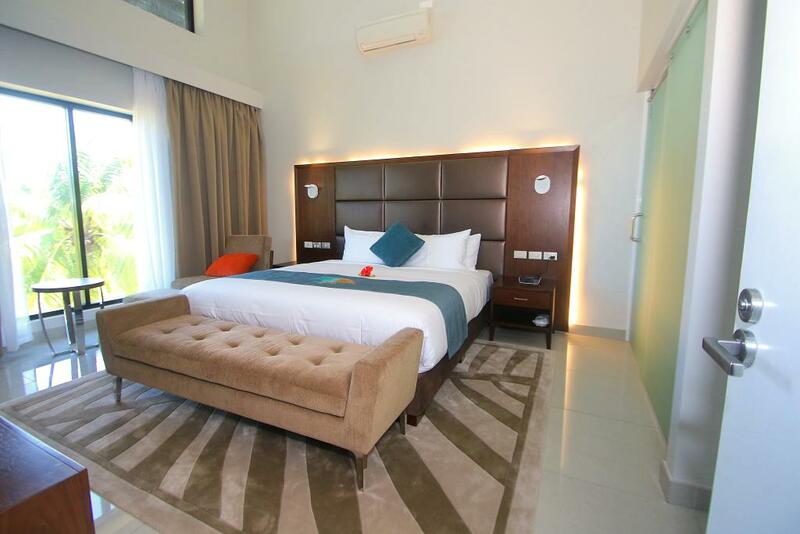 3 Bedroom Apartment: Bedding is 1 King Bed + 2 Queen Beds. 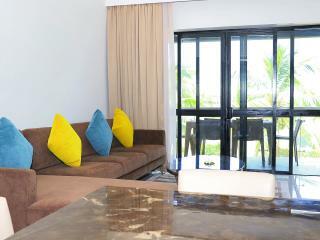 Maximum capacity is 6 Adults & Children. 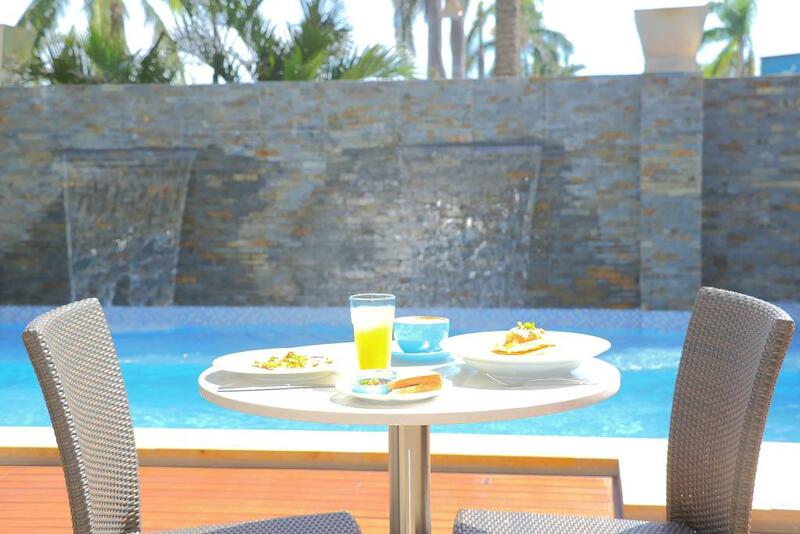 Café O: Enjoy a relaxed coffee shop ambiance by the pool. 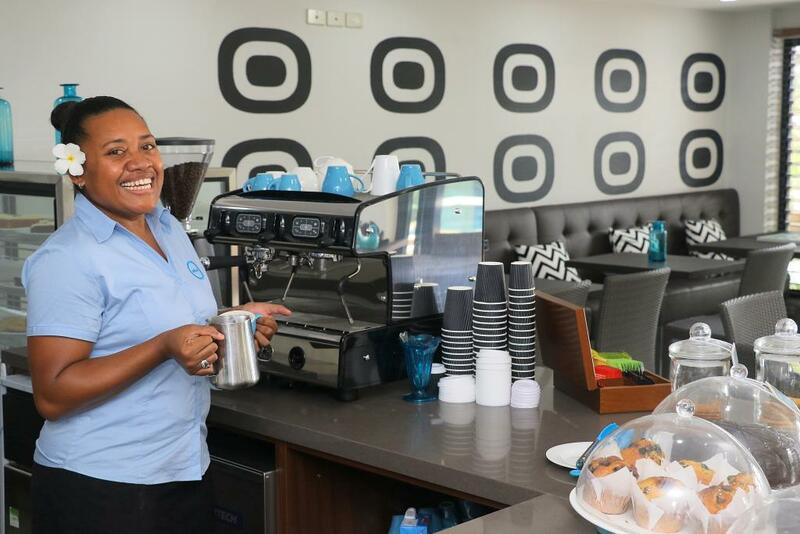 Café O is open daily from early until late serving breakfast, lunch and dinner along with freshly baked treats. 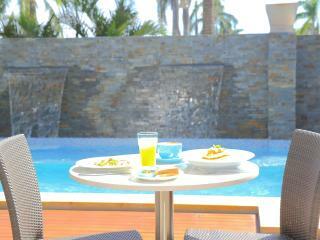 Room service is available for those who prefer to dine in their room. 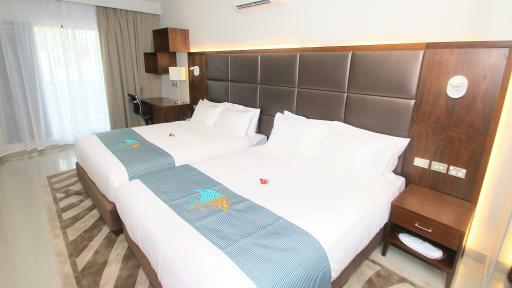 Children: 0-17 years stay free in existing bedding. 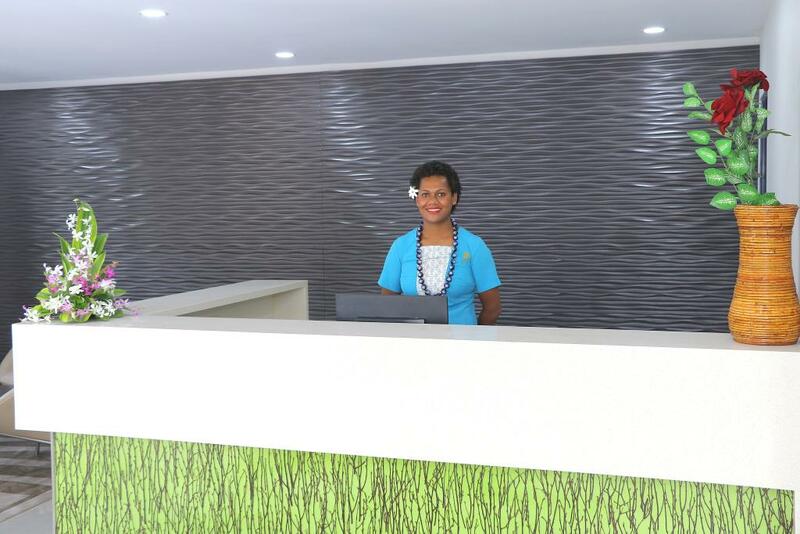 Address: Denarau Island, 20 minutes from Nadi International Airport, on the western side of Viti Levu. 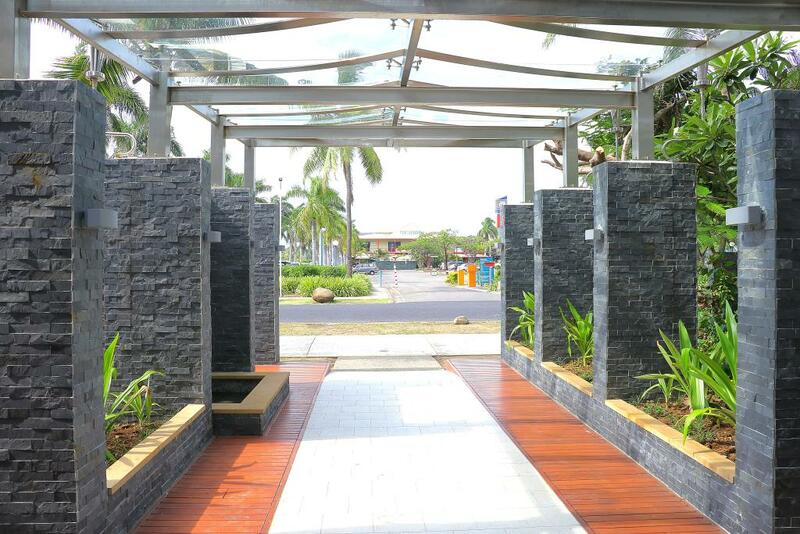 Directly across the road from the Marina at Port Denarau provides easy access to the Marina , restaurants and day trips to the outer islands. 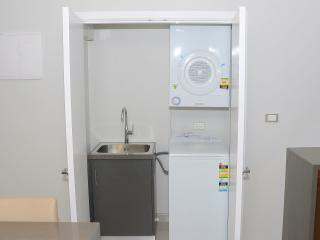 The unit we stayed in was spacious , modern and clean. 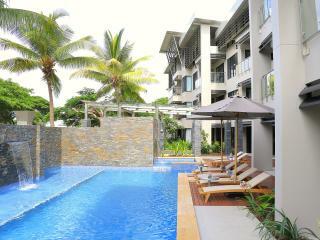 As it is not a resort the actual facilities such as the pool ect are limited. 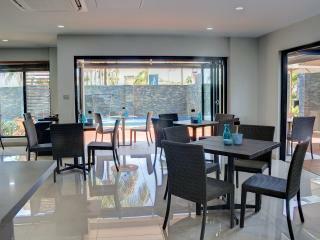 As an over nigher or a base to do day trips provides great value for money and a handy location.